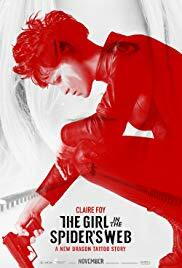 New in Theaters November 9, 2018 "The Girl in the Spider's Web" and "Dr. Seuss' The Grinch"
The sequel to “The Girl with the Dragon Tattoo,” “The Girl in the Spider's Web” promised a deep and involved crime thriller with a good cast. But, unfortunately, the sequel could not live up to the first film due to an overly predictable story and a lackluster directing style from Fede Alvarez. The film paces itself as if as if it were ready to sleep. The script is full of twists and turns that ultimately make the audience feel as if they've missed something because of an inconceivable and ridiculous plot. The film would have fared better if the producers had simplified everything and opted for characters that were believable and empathetic instead of generic and bland. In the end, “The Girl in the Spider's Web” just won't hold your interest. Another version of the Dr. Seuss story of the Grinch, who hates Christmas and does everything in his power to stop it from coming to Whoville. 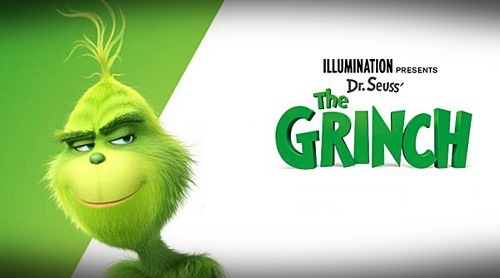 “The Grinch” is an updated animated telling of the story that probably should have been flushed out a little more. I understand the need to update stories and retell them, but the producers decided to completely rewrite the story and in that process it lost the magic it's predecessors maintained. The Grinch is still a jerk, but he's not quite the bad guy he needs to be to make the transition at the end of the story. Cindi Lou Who is played more as a street-wise child lacking the purity and innocence that was needed as a catalyst for the Grinch's change. Without those two ingredients, the story simply loses its wonder and falls flat. I think little kids will like the animation, but I do not think this version of the Dr. Seuss classic will become a Christmas tradition.